We hope that you've had a wonderful Christmas shared with your loved ones! Even though Christmas is over, we have another little gift for you! 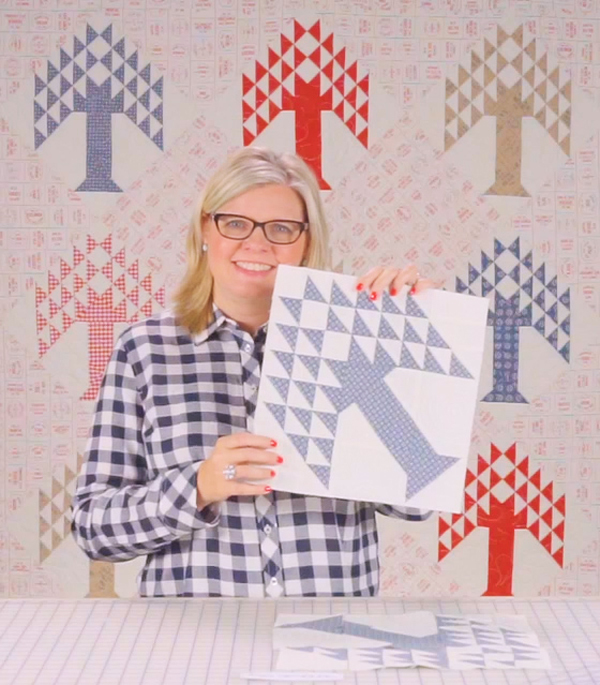 Today, we're back with another Classic & Vintage quilt block! If you're unfamiliar with our Classic & Vintage Series, we take traditional blocks that you know and love and update them with a modern twist. We selected the fun and classic Freedom collection by Sweetwater for Moda Fabrics to spice up the Tree of Life block! You can download this FREE quilt block on our free quilt patterns page, or download the whole quilt pattern right to your computer here! 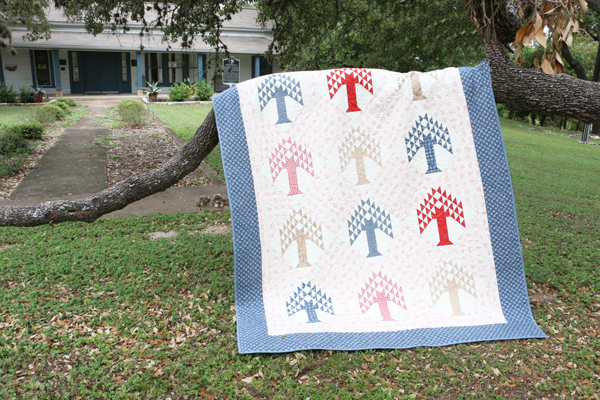 We have put together a Tree of Life Quilt Kit and Backing Set to make your quilt complete! Ready to get started? Here are a few of Kimberly's essential picks to help you complete this stunning quilt with ease! 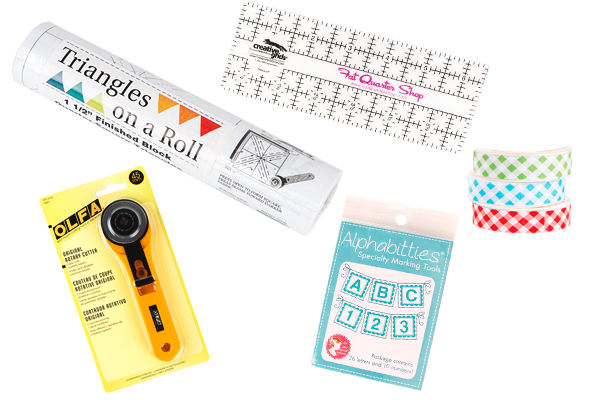 Triangles on a Roll for precise, easy cutting guides! Creative Grids Ruler to make sure your lines are straight. Olfa Rotary Cutter for crisp fabric edges. 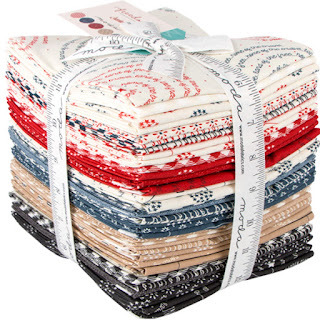 Alphabitties for easy fabric marking! Washi Tape to seal your Triangles on a Roll.